Leading multi-asset trading venue, BATS, reported that it had completed the acquisition of KCG’s currency trading unit, HotSpot. Details of the transaction were reported in January, receiving approval from the US Department of Justice on the 18th of February. The deal was agreed to for a hefty price of $365 million. BATS’ president was bullish on the move as it marks the exchange’s entrance into the vibrant forex markets. The first major M&A deal of 2015 came days after the Swiss central bank caused misery for certain market participants, after lifting the floor in the euro Swiss market, however, BATS sees the sector as one that continues to develop. 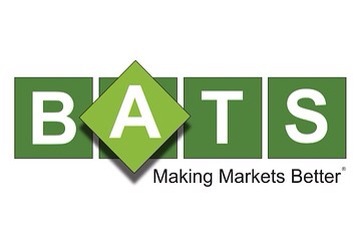 The firm’s CEO, Joe Ratterman, commented in a statement: “Today is a major milestone for BATS as we expand into a truly global asset class, a market whose daily trading of $5.3 trillion* (BIS Survey) makes it the world’s largest. Under the agreed terms, Hotspot’s COO, Bill Goodbody Jr, will continue to manage the firm along with 40 of the company’s staff members who were based in the New York area and will be moving to BATS’ New York office. Both the institutional and retail FX markets have been impacted by the SNB crisis. On the institutional front, firms cooperating with prime brokers find that the banks have changed their modus of operandi, as the cost of credit and risk management are on top of the agenda thus making it difficult to co-operate with. Now if only they can start a retail revolution too by offering an ECN that pays for adding liquidity as they do on their equities ECN. Become the, well, BATS to MBTrading’s Arca, in the FX world.